What kind of Jeeper do you wave to?  Michiana Jeep Club(MJC)started in January of 2007. 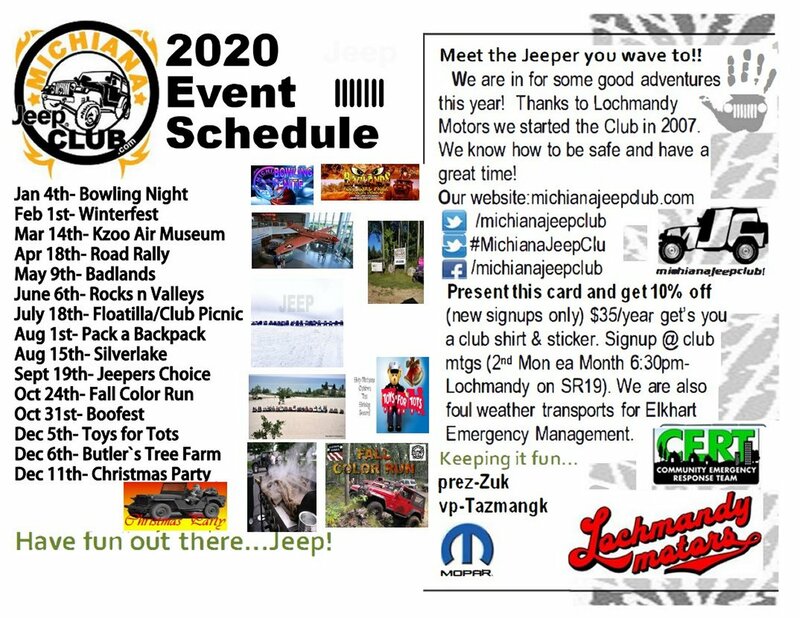 With the support of Lochmandy Motors (a authorized Jeep dealership) we wanted to start a Jeep Club to promote the Jeep experience and to find out who we are waving at around Michiana. We are located in Elkhart, IN as a base and reach out to the Michiana area. We are about sharing experiences, knowledge and friendships. You need to be a licensed registered owner of a Jeep brand model. Immediate family members are included in the primary registered member. 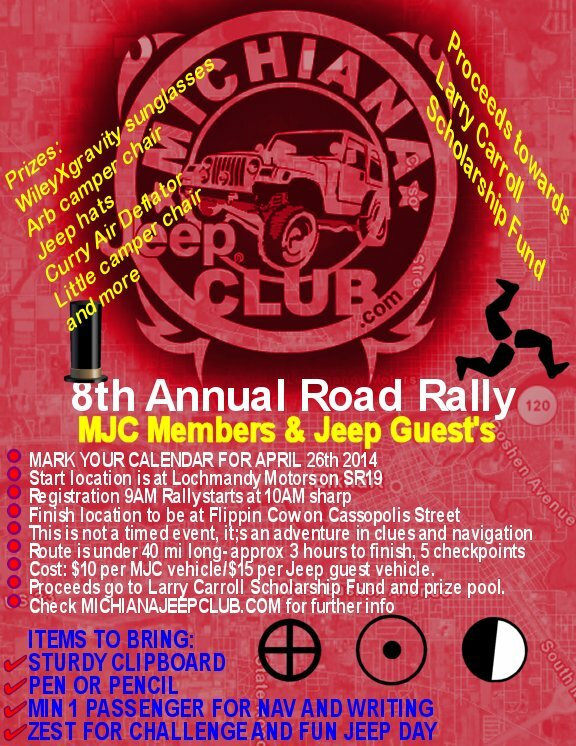 We hold Club meetings the second Monday of each month @ Lochmandy Motors at 6:30pm (Our official MJC Clubhouse). 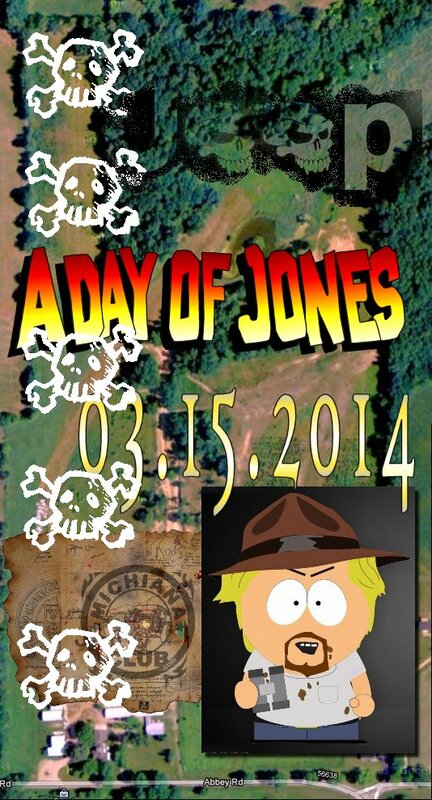 Jeep guest's are always welcome and we encourage you to check out our group before you join. Our meetings are about 1 hr long and we welcome visitors. Our Club dues are $35/year which includes a club t-shirt and decal. Renewing members will get a free club t-shirt. As of 12/10/17 we have 130 members of all ages. Only one membership required in a imidiate family unit no matter how many jeepers are in your family. 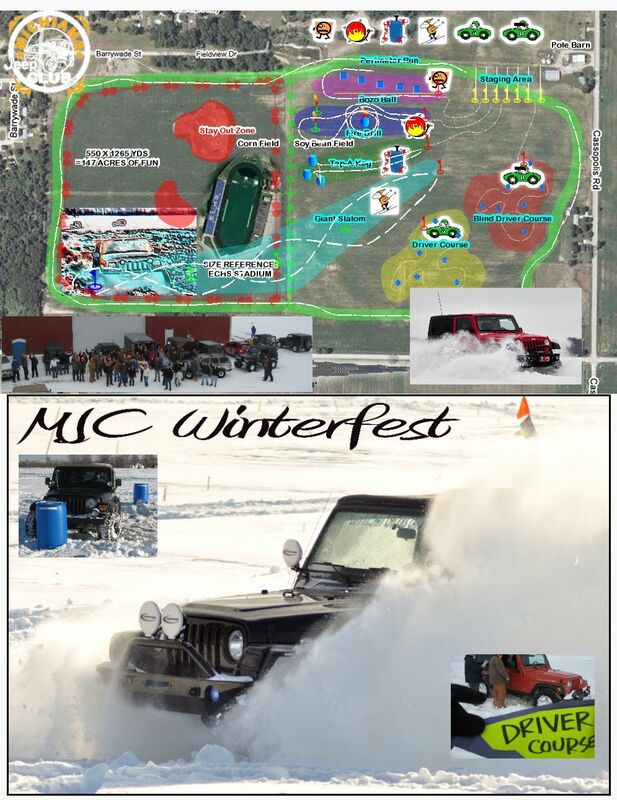 MJC is working towards our CERT(Citizens Emergency Response Team)certifications as we are always on call for foul weather transport of Doctors, Nurses, Jail personel or as needed by the Elkhart Emergency Management Department. MJC has a on going food drive giving to local food banks. 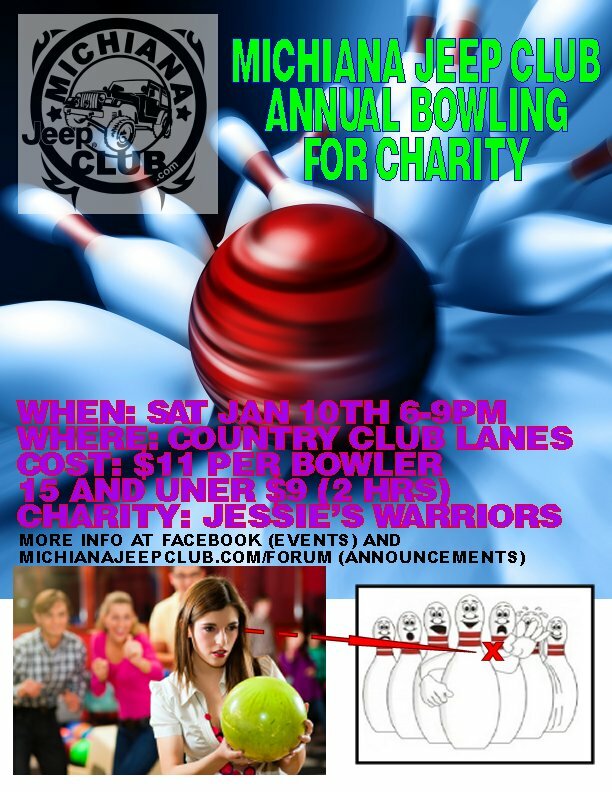 MJC raises charity for Jessie's Warriors, Sonja Ansari Center for Autism, Wounded Warriors, Allegan Heroes, Toys for Tots and others throughout the year. 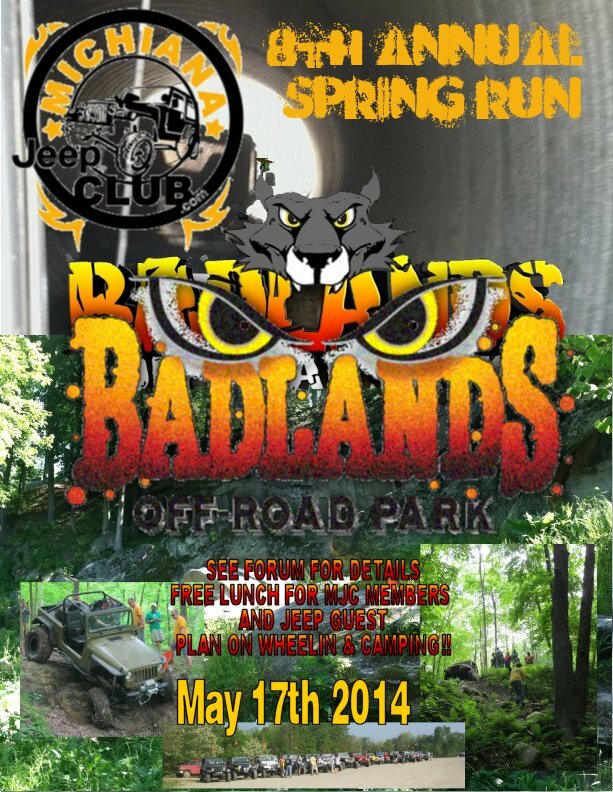 Many members participate in trail rides such as Badlands ORV in Attica Indiana. Badlands park has about 800 acres of diverse terrain such as dunes, deep water crossings, gravel hills, mud bogs, deep wooded trails and rock crawling areas for all levels of jeepers (apprx 3hrs from Elkhart). 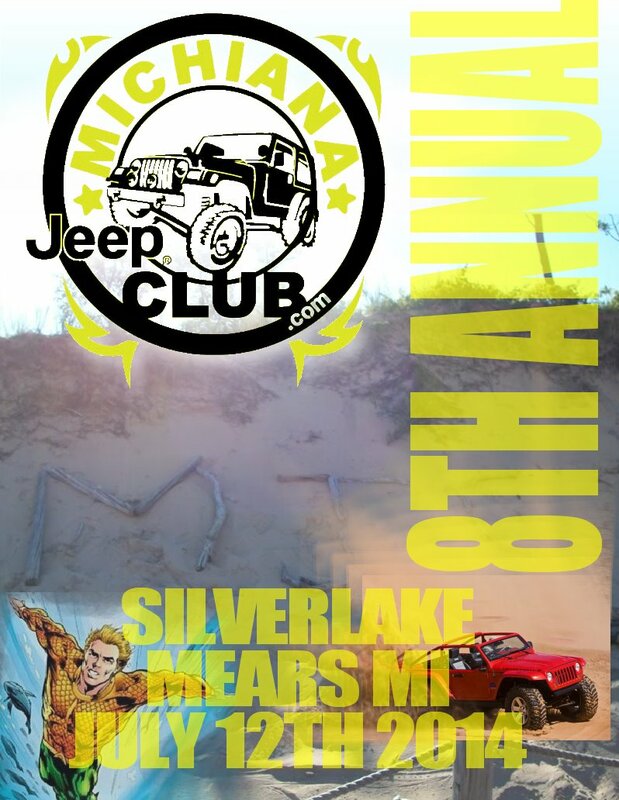 Silver Lake in Mears, Michigan is a State park and has approximately 2936 acres of dunes, wooded areas, beach front and deep water holes (approx 3.5 hrs from Elkhart). Other ORV areas include Bundy Hill, Rocks and Valleys and the Cliffs which are all within 4hrs reach. Members are always up for a adventure!